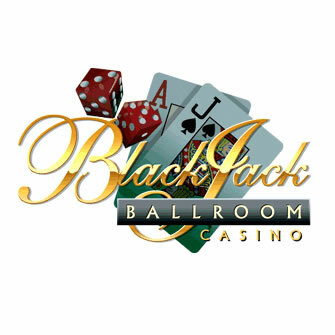 April begins very interesting at Microgaming powered Blackjack Ballroom Casino, so check out in this article what is happening at this fine casino! Immortal Romance is an awesome 243 ways-to-win 5 reeler that has so much in-depth gameplay that it has quickly become one of Microgaming's most adventurous slots ever. Join Amber, Troy, Michael and Sarah in a supernatural tale which culminates in the Chamber of Spins Bonus Round, where you can be rewarded with up to 25 Free Spins and an incredible 3,645,000 coin jackpot! Play Immortal Romance this week, and the Top 5 Wagerers each day will receive $100 into their casino account. Agent Blonde is the most beautiful of all international spies and she's about to take you under her wing and introduce you to a spot of lucrative espionage! Take your pick from her gadget bag of tricks, with x-ray glasses, GPS trackers and exploding gum, but don't lose sight of the 15 Free Spins and the£€$10,000 jackpot. With a betting range of just 1 cent up to $1, every 007 wannabe can get their tuxedo on and start the mission to win as much as possible. Try your hand at Agent Jane Blonde this weekend and 10 Lucky Players will be chosen to receive $100 per day. A veritable smorgasbord of special offers Here! Get the Super Weekend tournaments added value!